Do you want your kid to experience the thrill of riding before they are even able to properly speak? Do you want the best upgrade for your little one as he or she has outgrown their balance or wheel training bike? Check out our 2019 shopper’s guide to kids’ bikes! 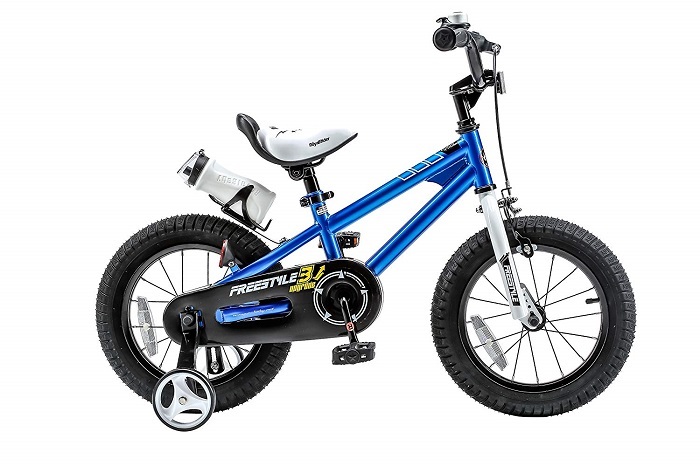 We’ve got everything you and your little angel might want from BMX bikes with training wheels and cool-looking transition bikes to a great balance bike and the world’s safest bike for kids. Picking the perfect bike for our young riders has never been easier. 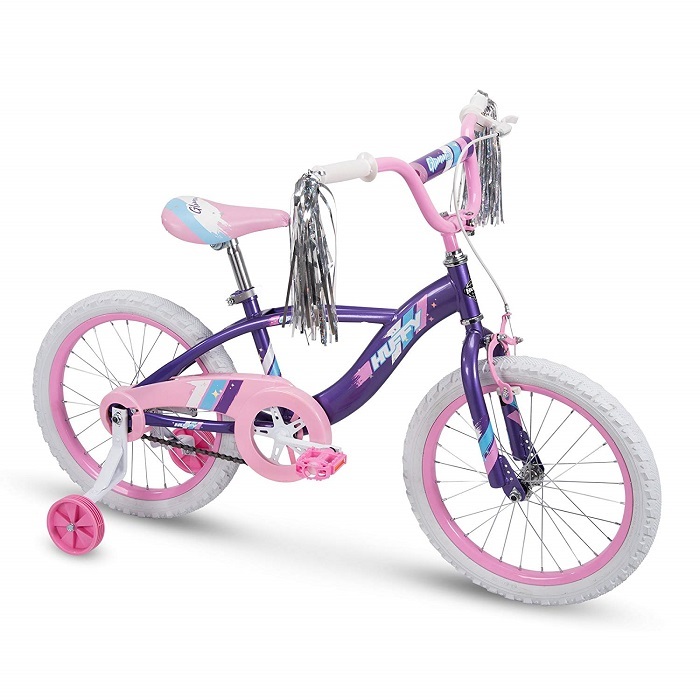 The Huffy 16-inch Glimmer is a fun-looking first bike for girls aged 4 to 6. It comes with wide training wheels, durable steel frame, colorful partially enclosed chainguard, handbrakes, shimmery streamers, and an upfront handlebar bag for your princess’ favorite toys and other items. The Huffy Glimmer girl’s bike offers great quality and a smooth ride, and it comes pre-constructed, with the tires pre-inflated. It is a great first bike with a very girlish look that will surely turn heads as the young one is riding it. The Huffy 20-inch Ignyte is one of the coolest-looking transition bikes for kids aged 5 to 9. This BMX bike has everything a big boy bike needs like removable front pro-look pegs, front hand brake and coaster brake, included kickstand, chain guard, and more. The bike comes in two color combos – the gloss blue abyss and gloss crimson – which have been extremely popular among boys. This Huffy is very easy to put together (around 30 minutes without expert assembly). Here’s the balance bike that grows with your child. 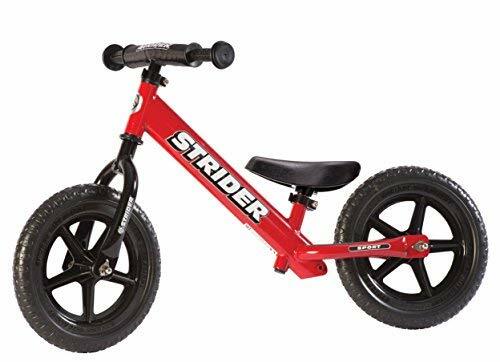 The Sport version of this hugely popular Strider balance bike is highly customizable as you can change the tires and/or add a foot brake. The 12 Sport also comes with adjustable handlebars and seat to accommodate kids as young as one and as old as five. This particular bike has taken the world by storm because its simple design and sturdy construction allows children to learn to ride before they even attain full control of their bowel movements. The 12 Sport is the way to go if you ever consider giving your toddler a balance bike, according to hundreds of reviews by extremely happy parents with the purchase. 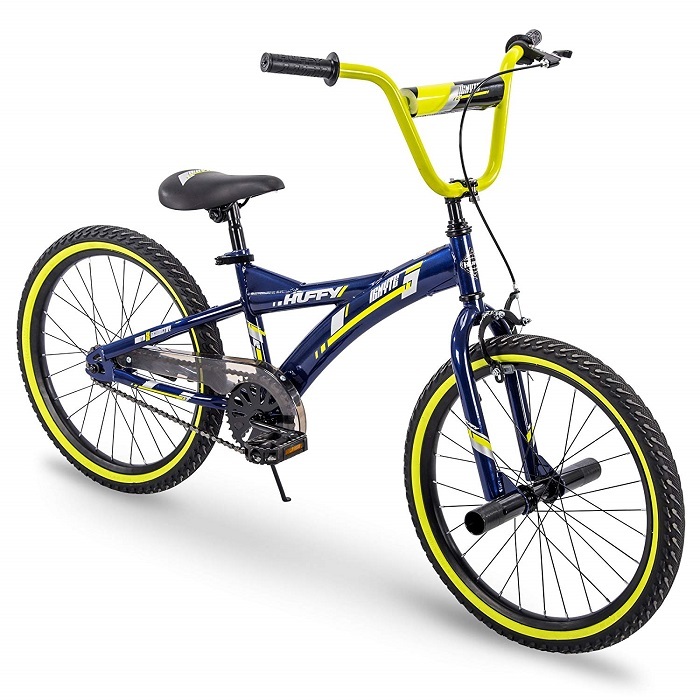 The Guardian Bike Ethos 20-inch large bike is ideal for boys and girls alike with heights between 45” – 53” (114 – 134.6 cm). There is also a 20-inch small bike in the Ethos series for smaller kids (around ages 4-6) Guardian Bikes is a brand of premium bikes that have been deemed the world’s safest kids’ bikes due to the patented Surestop braking system, which equally distributes braking power between the two wheels to reduce the stopping distance and lower the risk of head-over-handlebar accidents. Ethos series bikes come in four models (16”, 20” S, 20” L, 24”) and 6 color combos. You can check out the ‘Ridesizer’ interactive tool on Guardian Bikes’ official website to better match your kid’s age/height with the right Ethos bike. 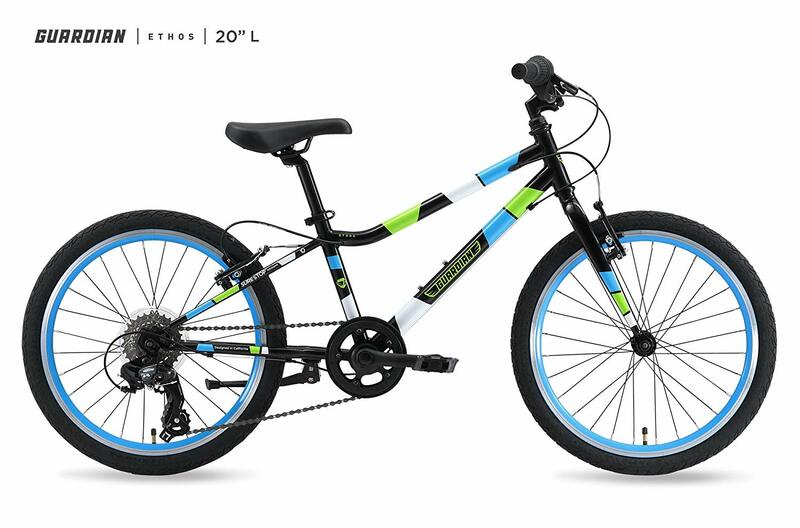 The RoyalBaby BMX Freestyle Kid’s Bike is a surprisingly sturdy bike for the price. It will run smoothly with a few minor tweaks like adjusting the front brakes (read the directions first), truing the wheels, and fastening the training wheel bolts. It is a cool looking bike with a big boy bike feel to it that small kids will love. We recommend picking the bike for your kid according to their height not age. For the heights 33″- 41″ (84-104 cm), 36″ – 47″ (91-119 cm), 41″ – 53″ (104 -134 cm), 43″ – 59″ (109-150 cm) get the 12”, 14”, 16”, 18” model, respectively. If you’re interested in more BMX bikes, check out or list of the best BMX bikes that you can buy right now. A kids’ bike can be the reason of many fond childhood memories and getting one for your kid is advisable for both their physical health and confidence. However, getting the right one can be a daunting task due to the wide variety of models on the market. If you’re choosing a bike based on a budget, keep in mind that a cheap bike may come with zero re-sale value, which means that both you and your kid could be better off with a more expensive bike that can be re-sold at some point since it is of a higher quality than most $100 bikes. What do you think? Have you bought a high-quality kids’ bike that isn’t on our list? Feel free to share your thoughts in the comments below! Disclosure: There are affiliate links from Amazon in this article and our website may receive a commission for purchases made through the links we shared. This partnership does NOT affect the price of the product, nor does it influence our objectivity, as we only review products we consider high-quality and ideal for all young riders.